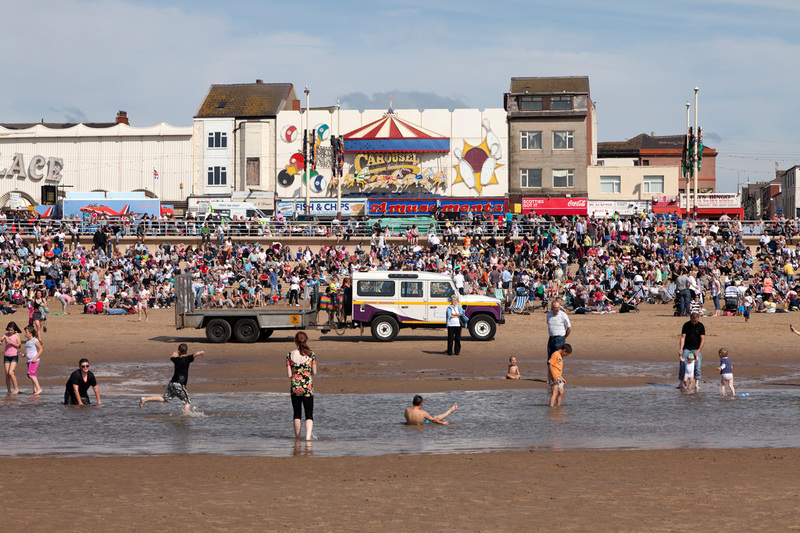 On Sunday 8th August 2010 thousands of people gathered on Blackpool beach to admire a fabulous air display. 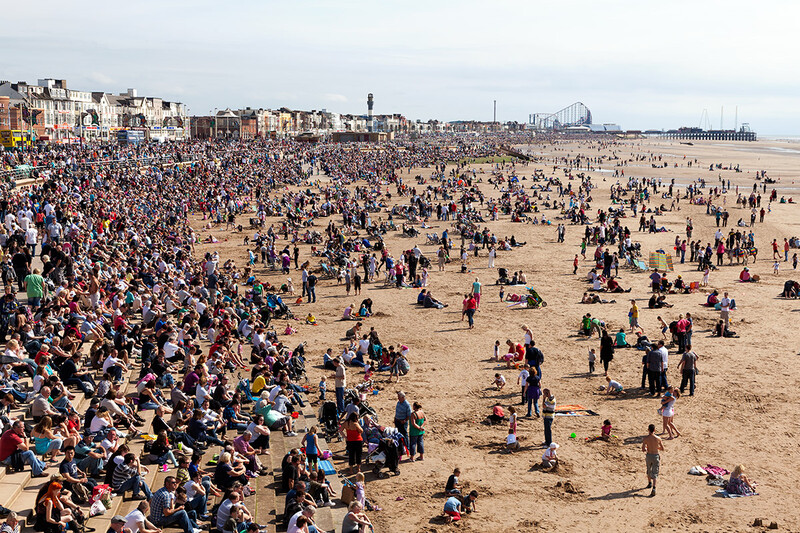 The event took place between South and Central piers just after 4pm and began with the Battle of Britain Memorial Flight which featured a historic Spitfire, Hurricane and Lancaster Bomber. 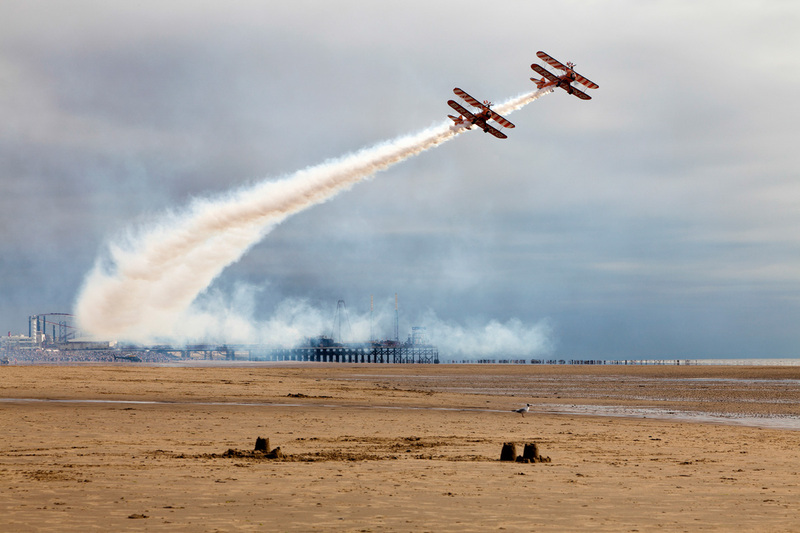 The Breitling Wing Walkers (the world’s only formation wing-walking team) were also there and, to conclude the airshow, the RAF Red Arrows Formation Team performed a spectacular aerobatic display. 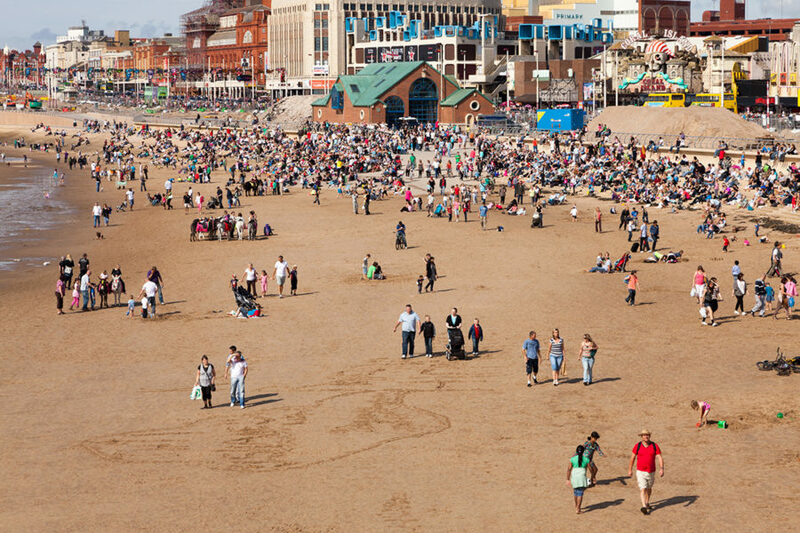 It’s a rare thing to see Blackpool beach this busy and the whole scene reminded me of photographs taken in Blackpool during it’s “heyday” back in the 1950s and 1960s. I shot over 500 photographs during the day and so editing them has proven to be somewhat time consuming. 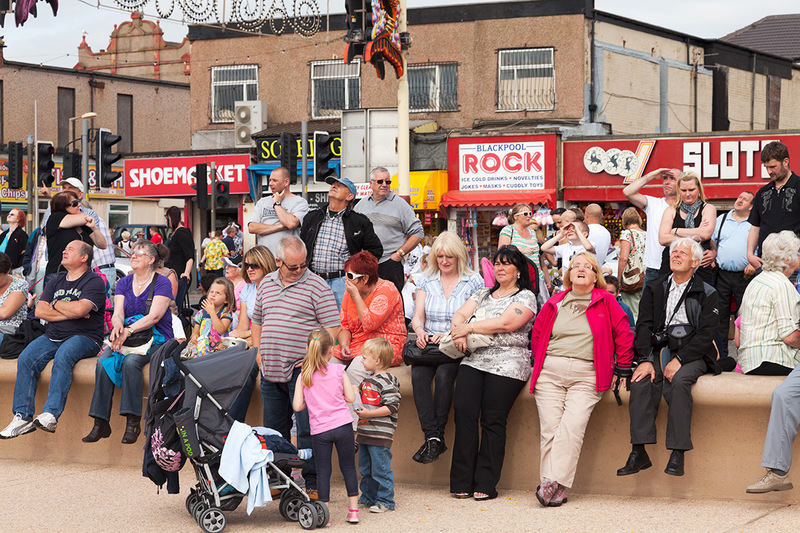 For the time being, I thought I’d just share a few of my favourite photographs from Blackpool Airshow. If you like what you see please support my photography and tell you friends about it. You’ll find share buttons below and I’d be delighted if you could share your favourite photograph from this post. As always, if you have any questions or comments please leave them below. 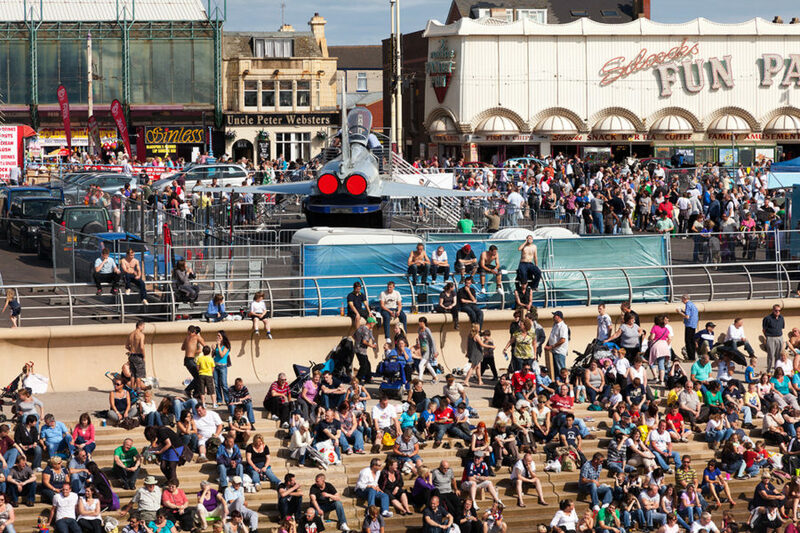 This entry was posted in Blackpool and tagged Airshow, Flight, Holiday-Makers, Red Arrows, Tourism.